Galway based Tegasc researcher Prof Michael Diskin has won the Teagasc Gold Medal for his work on cattle breeding. Prof Diskin has been in charge of the Teagasc Mellows campus in Athenry for the past 14 years where he is also Head of the Animal & Bioscience Redevelopment Department. 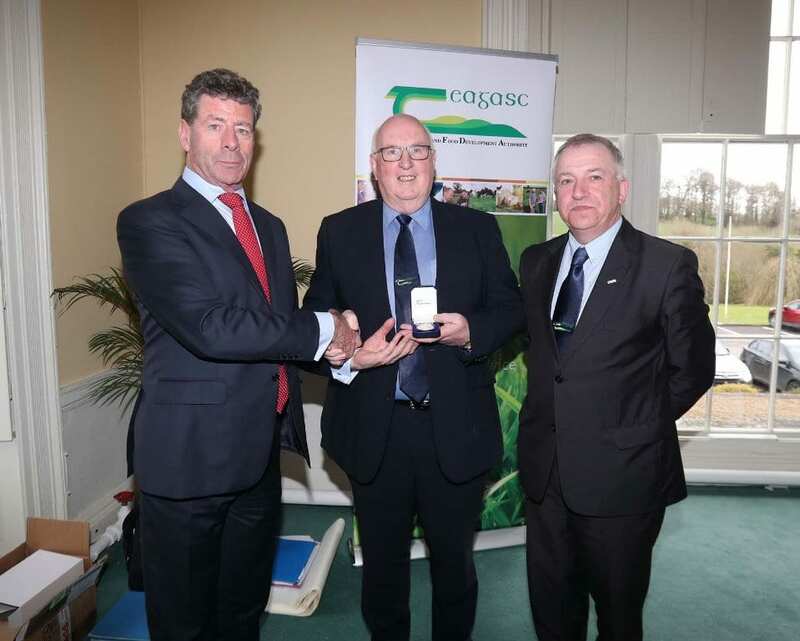 The Teagasc Gold Medal is awarded on an annual basis to a member of staff who has made an exceptional contribution to the organisation and to the agriculture and food sectors. A native of Corr na Móna, Michael is an internationally known scientist for his work as a reproductive physiologist, particularly working with beef cattle. He has been published over 130 times and in 2008 he was appointed adjunct Professor in the School of Agriculture, Food Science and Veterinary Medicine in UCD. Accepting the Gold Medal award, Michael said; “Teagasc is a team-based organisation and I am fortunate and privileged to have worked with many teams of excellent people during my career. “I am delighted to accept this award and I receive it on behalf of all of my current and past Teagasc colleagues in Athenry and in other Teagasc centres that I had the privilege to work with. “I want to thank all the farm, technical, research, advisory, specialist and administrative staff,” he concluded. Michael started work in An Foras Taluntais with Joe Sreenan on animal reproduction. On top of his research with cattle, he has worked to improve the Teagasc sheep programme and has played a leading role in the sheep BETTER farm programme. Recently, he has been involved in the establishment of the BIA Innovator Campus CLG at Athenry, which to-date has secured almost €6 million in government funding. Teagasc Chairman Liam Herlihy said that Michael Disking has had an “outstanding career” both as a scientist and as a manager in Athenry these past 14 years. He added that Michael “has displayed huge dedication to the agriculture industry”, and “we thank him for all he has contributed to the advancement of animal reproductive physiology and the Irish farming industry”.